Single Phase Control Panel (HSS-ELCW-CH -SOR4) is used for optimizing the use of water. 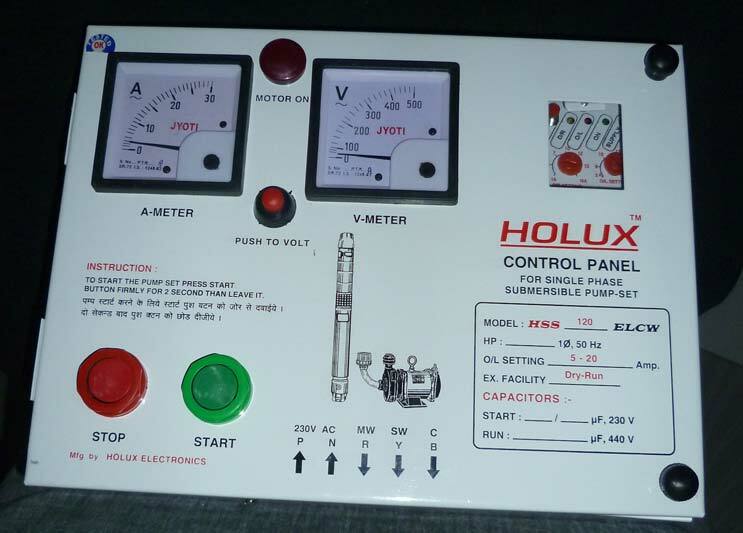 We manufacture Single Phase Control Panels in accordance with set industry standards and test them for their efficiency. They are available in various models and come with overload and dry run protection. We are one of the known Manufacturers and Suppliers of Single Phase Control Panel (HSS-ELCW-CH -SOR4 IS). Based in Andhra Pradesh, we can make available the panels in various parts of India.